A new Patek Philippe is always big news in the world of haute horlogerie but what if they don’t announce a new model? 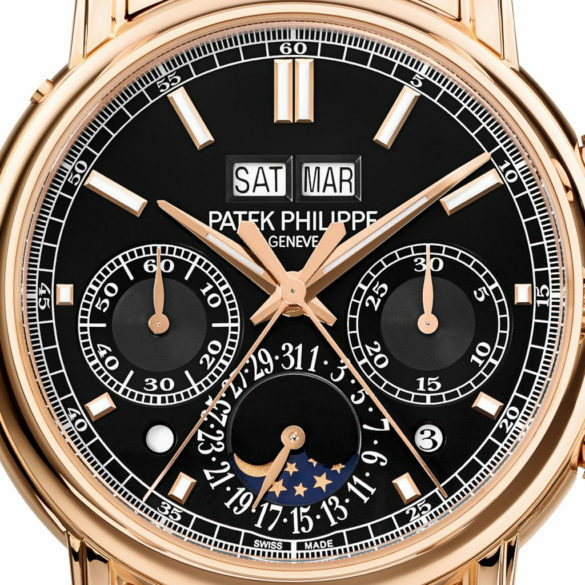 Than you have to monitor their website and find out that this Patek Philippe Grand Complications Ref. 5204/1R-001 is brand new. The Ref. 5204 isn’t a new model. 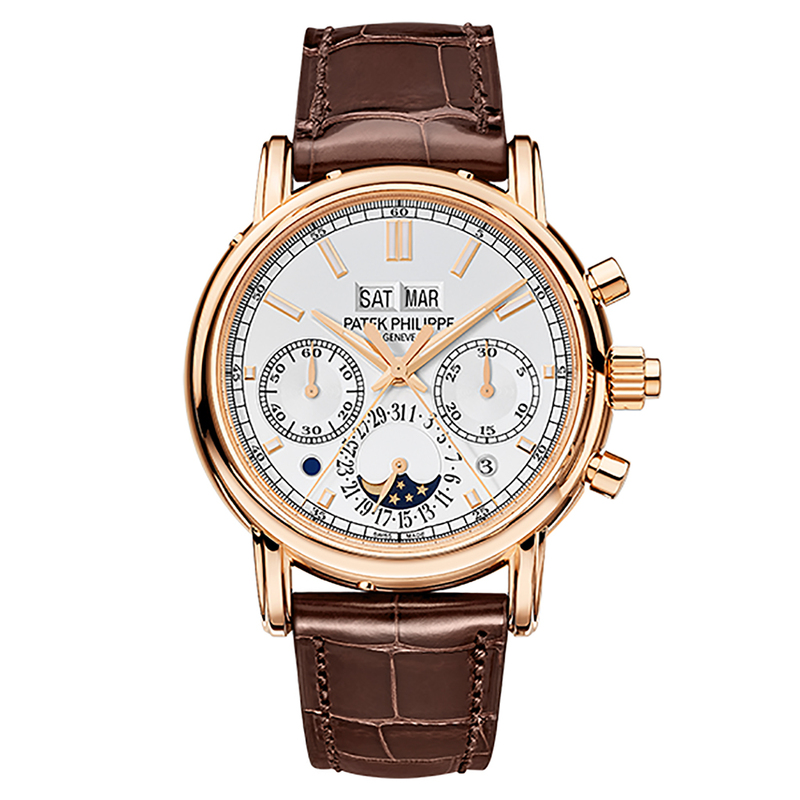 Within the Grand Complications collection, you will find a rose gold model with silvery opaline dial (ref. 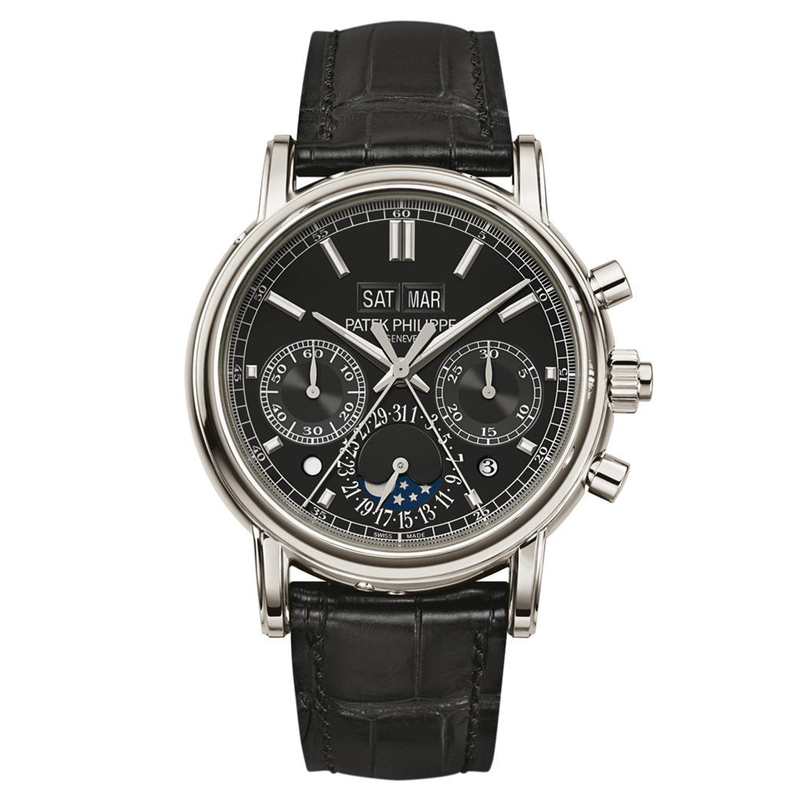 5204R-001) and the same model is also available in platinum with a ebony-black opaline dial (ref. 5204P-011). Especially the last one is a very modest, stylish 40-millimeter master piece. This new Grand Complications Ref. 5204/1R-001 isn’t. Well, it is still a master piece. Every Patek is. 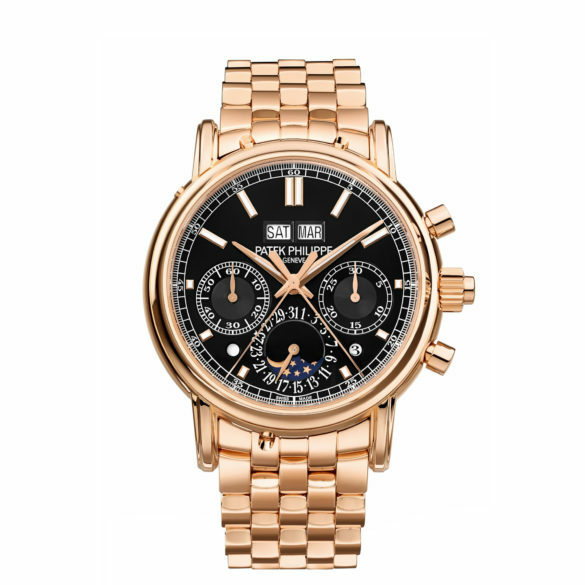 It features a perpetual calendar with leap years, a split-seconds chronograph and a moon phase indication, just like the other two models. 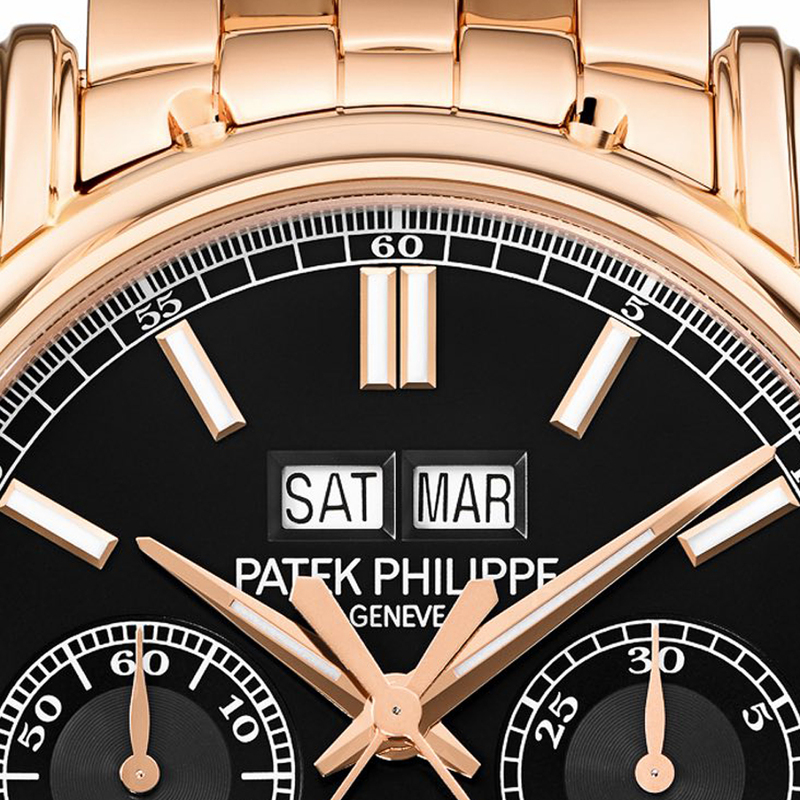 Inside is the same manually wound caliber (CHR 29-535 PS Q) and the thickness is still 14.3 millimeters. The change is in the looks. 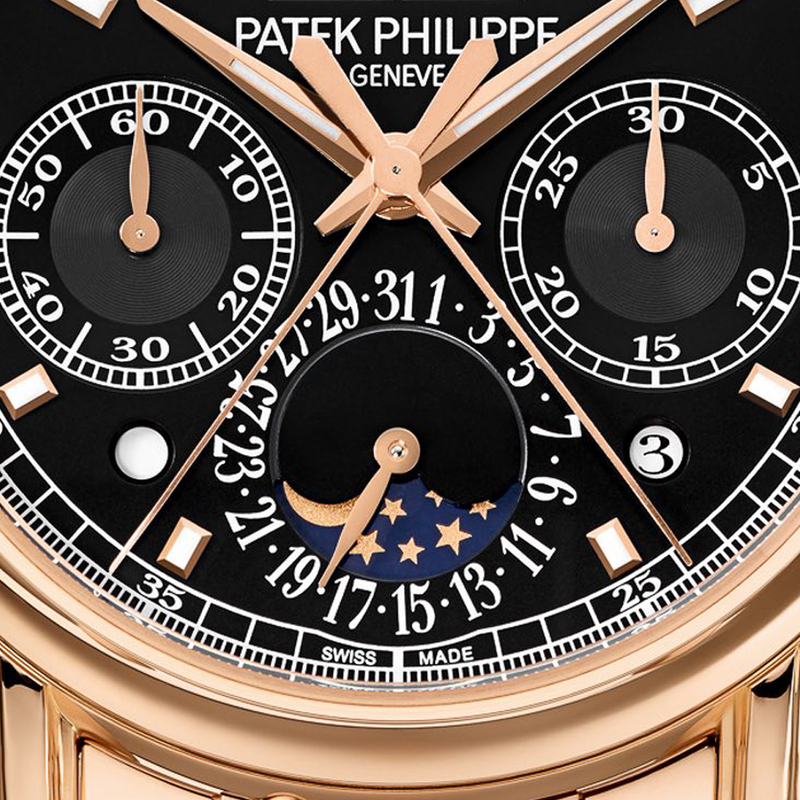 The 40-millimeter case is made from rose gold and the bracelet is too. Which makes it a big shiny watch with one subtle element: the ebony-black opaline dial. If you want to stand out to the crowd, this is your watch. Otherwise just wait until you can afford yourself this one.